Bookmarks offer excellent value for money due to their longer lifespan than other giveaways like flyers. Of course, you aren’t limited to only giving away bookmarks. You can also sell them and make some money! 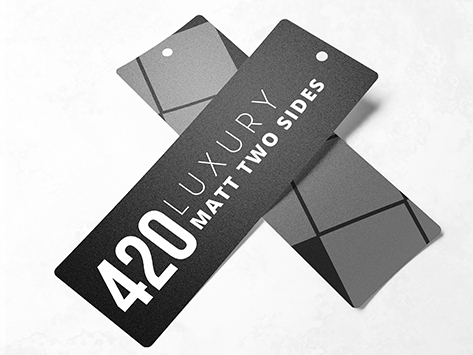 Our Premium Matt Cello both sides stock offers a smooth surface upon which your marketing message and contact details are printed in gorgeous full colour.